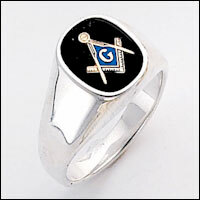 Sterling Silver Masonic Ring. The sides of the shank are plain. Solid back. Your choice of color stone.